Pittsburgh, PA – December 4, 2012 – Production Consulting Group, LLC a Pittsburgh- based emerging technologies consulting, video streaming, and media production company, is pleased to announce that they have entered in agreement with the Chyron Corporation to become an authorized reseller of Chyron products. 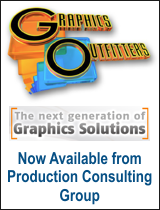 "We are very pleased for the opportunity to add Chyron to our product line, says Jeff Waller, President of Production Consulting Group. Chyron is the industry standard when it comes to graphics for the broadcast industry and the introduction of innovative products like the new Chyron IP shows their commitment to innovation in the marketplace." "Chyron IP is a game changer product – allowing clients who currently use Chyron graphics to stay in that same HD/SD graphic workflow when it comes to production with Newtek products will save our clients a tremendous amount of time and money." ChyronIP, is a real-time HD/SD 2D and 3D character and graphics generator that brings the company's acclaimed full-motion, data-driven 3D graphics to NewTek TriCaster live production systems for the first time. Loaded with all of the features and functions offered by Chyron's Lyric™ PRO software, ChyronIP delivers key and fill signals via the TriCaster network interface, which gives producers two full HD or SD live full-motion channels of Chyron graphics without tying up any of the TriCaster's video inputs. Chyron (NASDAQ: CHYR) is a leading provider of Graphics as a Service for on-air and digital video applications including newsrooms, studios, sports broadcasting facilities, and corporate video environments. An Emmy® Award-winning company whose products have defined the world of digital and broadcast graphics, Chyron's graphics solutions include the Axis World Graphics online content creation software and order management system, on-air graphics systems, clip servers, channel branding, and graphics asset management solutions, all of which may be incorporated into the company's BlueNet™ end-to-end graphics workflow. More information about Chyron products and services is available on the company websites: www.chyron.com and www.axisgraphics.tv. The company's investor relations information is at www.chyron.com via the "Investors" link.